Buying the perfect gift for your guy can be tough. They don’t always convey what they want even though they usually love receiving gifts. If your man loves gadgets, then this is both a blessing and a curse. It is a curse because there are so many things out there and it is easy to get something he may not like. The blessing is that there are a lot of things out there that he may like. Lets take a look and see if we can find some electronic gadgets for men together. Electronic gadgets for men don’t have to be a new smartphone. There is many cool and nice electronic gadgets for men to choose from. For example, electric razors have gotten better over the past decade. When they first came out, they were not as effective as normal shaving and cost a lot of money. Now, they’ve become so advanced and cheap that they make an excellent electronic gadget to get. If he is shaving with a normal razor, then ask some questions regarding electric razors. They save time, are easy to use, and can be used anywhere. This will help him save time and frustration. Electric razors can go for as little as 30 dollars. When looking for an electric razor, be sure to keep in mind whether or not you want it to be battery powered or a wall plug model. If your man is technology focused, and loves making media in the house seamless, then the Google Chromecast may be the perfect gift. This cheap (35$!) little usb device plugs into the back of a TV. After a very simple setup, it allows the user to easily and quickly link any electronics from their smart phone or portable device to the TV, quickly sharing media. This fun addition is a great device for showing off. There is nothing better then pressing a button on a smart phone, and having your TV turn on and begin playing exactly what you want. One important thing to remember is that the TV requires a usb port, and the Google Chromecast has to be supported on whatever portable electronic device you have. The Google Chromecast is for sure among the best electronic gadgets for men. 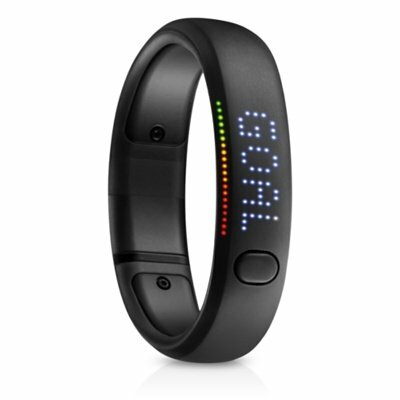 For a less specific suggestion, electronic gadgets for men can include something like the Nike Fuel SE. A sleek watch, the Nike Fuel SE is one of the hottest fitness devices, combining useful sensors with creatable seasons to provide a lot of information for each exercise. Besides hourly motivational reminds, the Nike Fuel SE is water resistant, and can connect socially with other Nike users. As said before, finding the right gadget for him can be tricky. Sometimes, the best thing to do is ask. There may be a chance that he knows exactly what he wants, and has just not conveyed it to you. If anything else, it will give you an idea of where to go. In addition, websites like thinkgeek offer a wide range of gadgets broken down by category or you can check our article ‘Cool Gadgets To Buy‘. If there is something he is particularly into, then you will probably be able to find something for him there. Until you find the right thing, good luck!